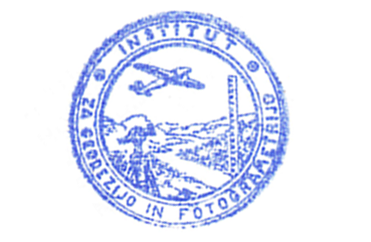 The Institute was founded on the 14th December 1953 as an independent research institute of the Faculty of Civil and Geodetic Engineering within the Technical Higher Education School in Ljubljana. 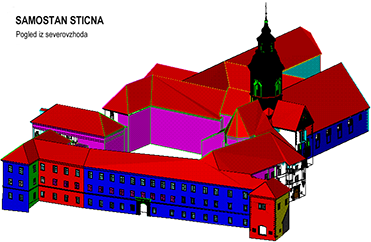 The initiator of its foundation was Prof. Ivan Čuček, who was also its first director. The first few years of the then Institute of Geodesy and Photogrammetry (IGF) were marked by lack of equipment and insufficient human resources from the pool of Slovene geodesy. 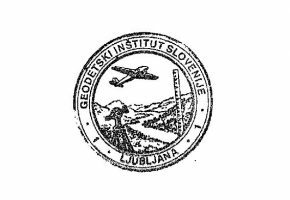 Apart from performing demanding geodetic works, the Institute also developed numerous original solutions for precise mechanical geodetic instruments, which demonstrates vast practical knowledge and ingenuity of its personnel. 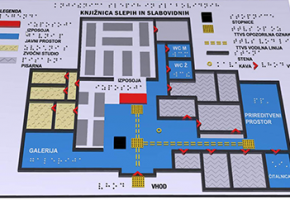 In this time levels, a redresser, a photocopier and a photopantograph were designed. 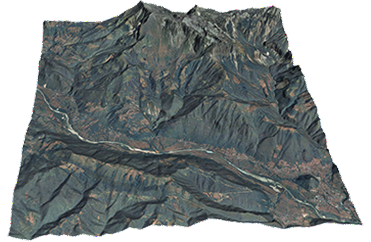 Numerous new technologies were introduced, mainly in the area of photogrammetry. 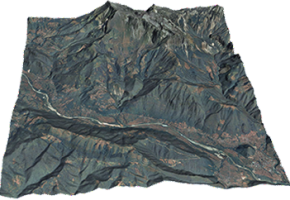 Between 1960 and 1970 the Institute expanded its knowledge and improved the precision of measurements (measurements of object settlements using new methods and equipment, the first international assignments – mine surveys in Algeria, etc.). 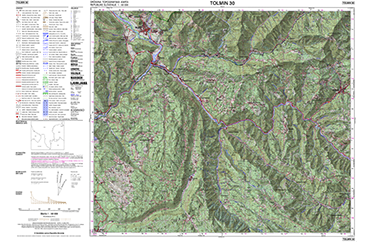 The most important step forward was made in the area of cartography: as the first institution in Slovenia and the first civil institution in former Yugoslavia, the Institute introduced modern methods of map production, which made it the pioneer of institutional cartography intended to the widest circle of users. 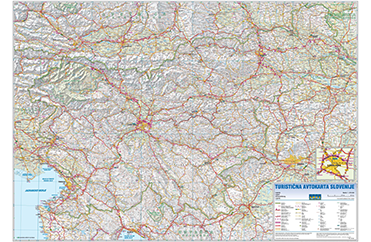 In 1963, by order of Automobile Association, the first road map of the former Yugoslavia was made. 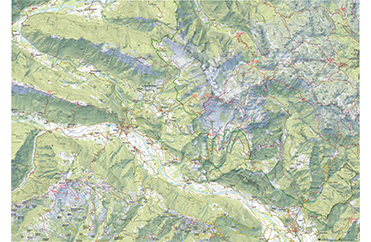 This opened a new area of map production reaching beyond the narrow line of profession. 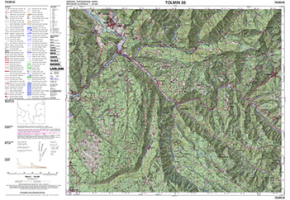 Then followed the map of Julian Alps and the town map of Maribor. It was also the time when the official small scale general maps of Slovenia were designed, with thematic presentations intended to foresters and planners. 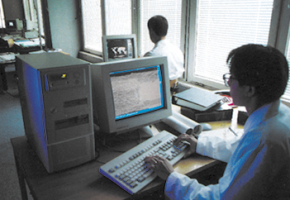 Between 1980 and 1990 the Institute performed numerous basic and applied research tasks. 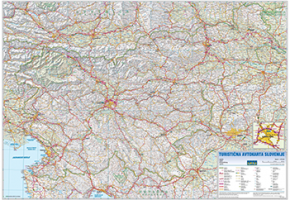 In 1983 automated cartography was first introduced, which set out once again a new development direction. 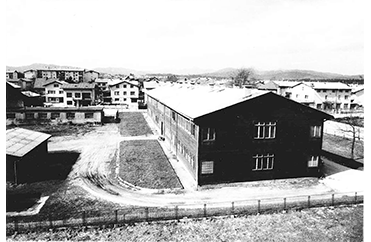 In the beginning of 1980s the Institute employed the largest number of people, about 70. 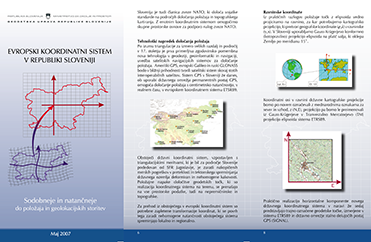 They prepared standardisation in cartography and cooperated in the development of the databases of the land surveying service. 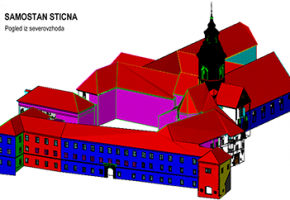 At a very early stage the importance of information technology was recognised, by stimulating the development of spatial informatics and geocoding. 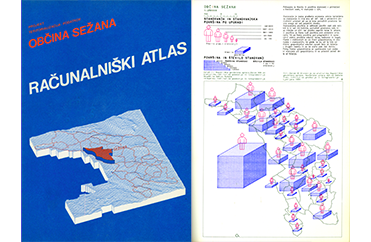 As early as in 1984 the experts from the Institute produced a computer atlas of the municipality of Sežana, the first such product in former Yugoslavia. 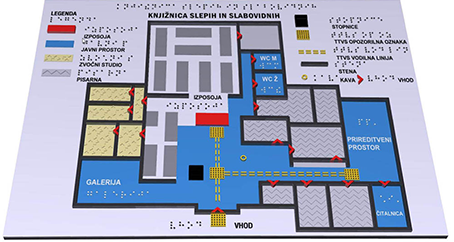 Later on they cooperated in the design of applications for digital relief model (DRM), register of basic territorial units and records of house numbers. 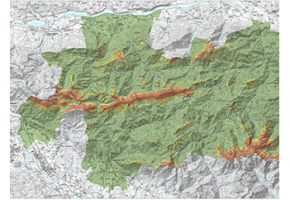 The first integral geographic information system (GIS) in former Yugoslavia was set up, including: land cadastre, topography, 3D model of the terrain and 3D model of buildings in the town Cavtat. 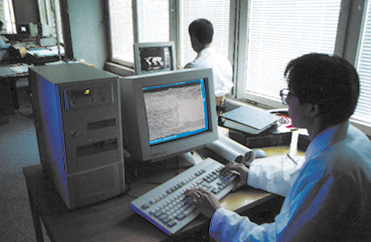 After 1990 the extremely rapid development of information technology brought about first of all changed working conditions. 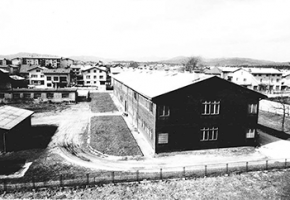 At the same time, the Institute was faced with generation renewal. 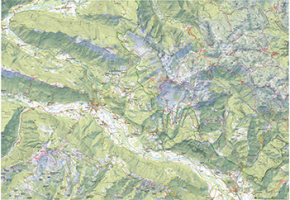 It stepped on the path of intensive education and recruitment of talented young people with expert ambitions. The average level of education per employee increased significantly. 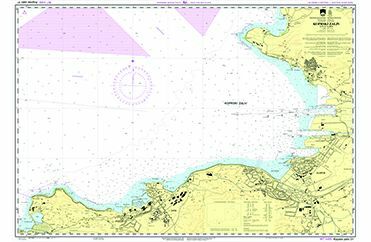 With several years of planned development and operational work in the areas of cartography, photogrammetry, geodesy and real estate or wider geomatics, the Institute also won international recognition and several awards from the areas of photogrammetry (3D models), hydrography and cartography awarded by national and international associations. 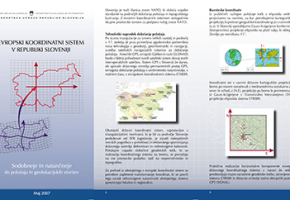 construction designs from the area of the basic geodetic system, cartography and real estate registration and from the area of R&D activity, according to the Institute’s work programme, which is part of the annual plan of the National Land Survey Service.The Institute performs its activities for the market against payment, e.g. 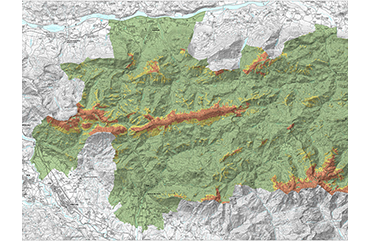 for municipalities and other contracting authorities, as defined by the Government of the Republic of Slovenia with the adoption of the annual work programme of the National Land Survey Service. 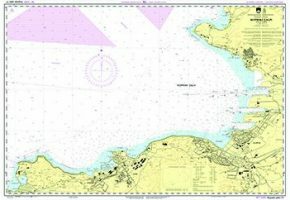 The Institute has managed or cooperated in various tasks, such as real estate registration, transfer to new coordinate system, elaboration of topographic map in the scale of 1 : 50,000, nautical charts and in other tasks. 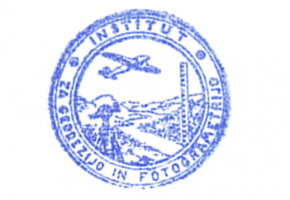 Throughout these years the personnel of the Institute have been dedicated to the transfer of knowledge and experiences to different groups of users and to the popularisation of the profession by counselling, offering trainings as well as organising and implementing trainings and qualifications within the Education Centre for Geomatics (ISG).